Mandates to vaccinate are under consideration. 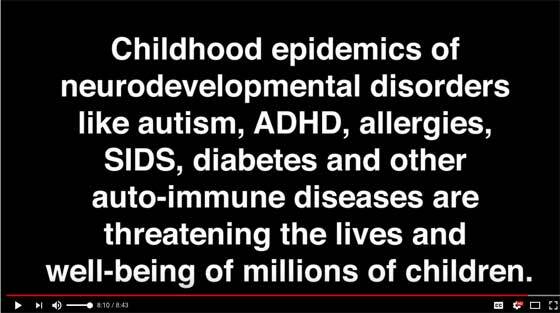 Federal vaccine programs are failing our children. Example: A vaccinated vs. unvaccinated study concluded that all currently available evidence suggests that the DTP vaccine may kill more children from other causes than it saves from diphtheria, tetanus or pertussis. Please watch the below if you only have less than 2 minutes (not on YouTube). The Real.videos each have a brief commercial message. Real.video provides hosting for videos that are censored by YouTube if they are not obscene, etc. The FDA says that vaccines undergo rigorous and extensive testing to determine their safety. Is that true? No, vaccines are characterized by our FDA as biologics which lets them fast-track them without the rigorous testing. A chart below shows how the childhood vaccines are reviewed for safety. Compared against other vaccines, they are judged to be safe in only a few days or at most one month. 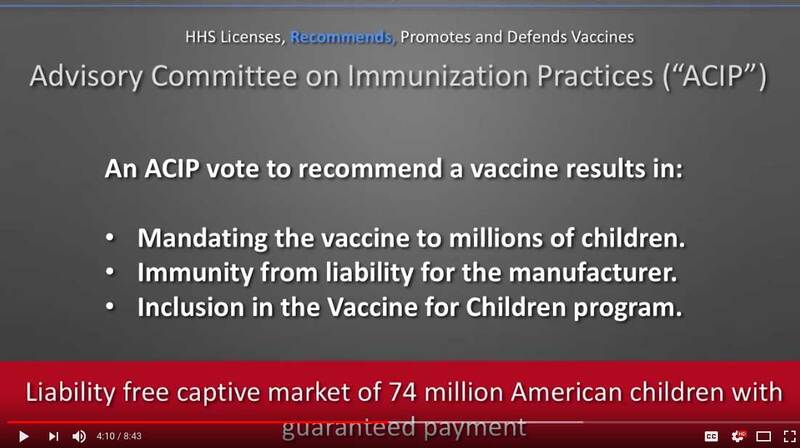 The screenshots (from the top video) show 1. vaccinations are not carefully studied for safety, 2. the money to be made by the pharmaceutical companies from the "captive marketplace" of 74 million children, and 3. the upshot— the children who will not be able to function well throughout their entire lives. Not all children are damaged by vaccines, but millions are. Is that a large enough number for parents and those who love children to become involved in this controversy?